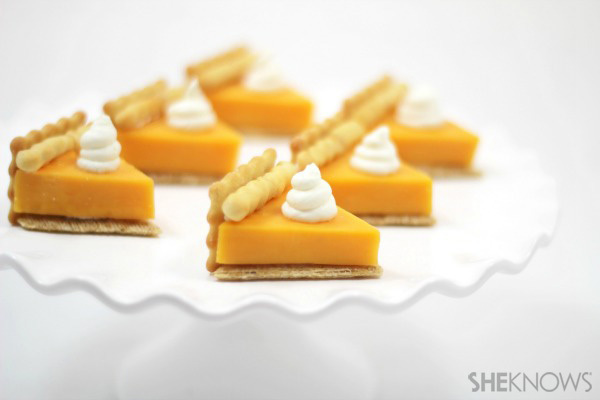 Surprise your guests with a savory appetizer that looks just like a piece of pumpkin pie. It’s the perfect fall party finger food. 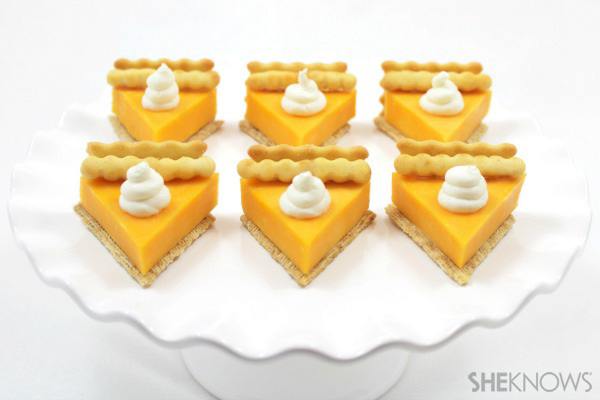 These easy, pumpkin pie-shaped appetizers will tease and please. Why? 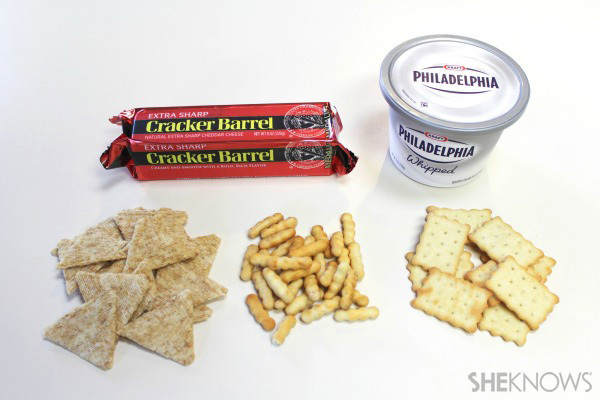 Because they’re actually made of cheese (along with a few assorted crackers). 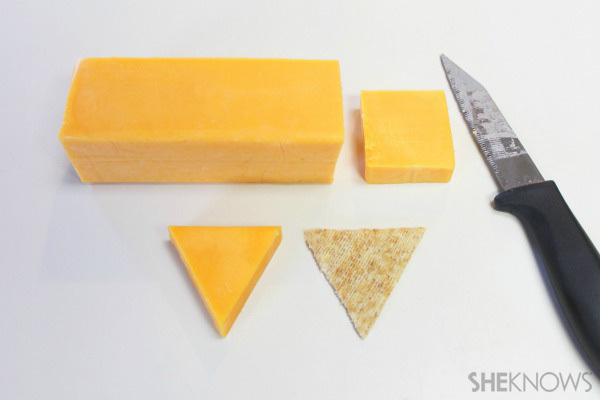 Slice cheese into thick wedges, slightly smaller than your Triscuit Thin Crisps. 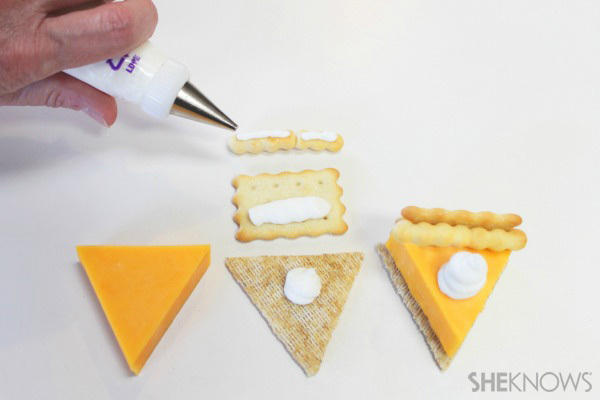 Assemble and accessorize cheese wedges with the crackers to create your pumpkin pie slices. 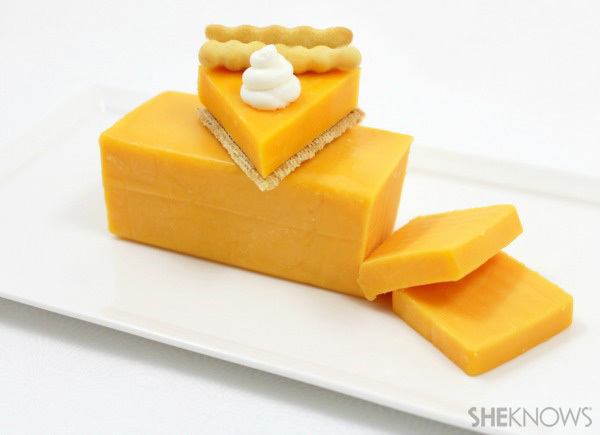 Surprise your guests with this cheesy pumpkin pie slice!